I admit it. I’ve procrastinated myself into paralysis when it comes to summer camp ideas. I have no idea why. We’re usually all done planning and registering by this point. I scared myself today when I discovered June 1st is next week. Tha t means 3 and a half weeks left of school. What on earth happens after that? Don’t know, still procrastinating! With a 12, 10 and 6 year-old, all wildly different personalities with varying interests and degrees of energy and excitability it’s tough. 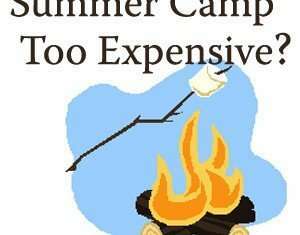 We’ve gone through summers where camp quickly became more logistical work than regular school. It felt like a drill every morning. Once was enough. Then we had years where there was very little camp. I was totally exhausted by approximately 9:30am. Once was enough of that. There was the rather successful experiment of half-day camp, with the extra bonus my boys could walk home by themselves. As I continue to wonder why they insist on two months off in the summer, rather than more frequent or longer vacation periods during the school year, I am faced with the mathematical, logistical and brain-melting task of figuring out how to occupy two boys and one girl, while trying to enjoy some down time, and work outside of the home. I’m open to suggestions. This year, we’ve tossed around the idea of finding a responsible , young, energetic babysitter, who can follow the flow and whims of the children each day. It definitely has tons of potential. The children can sleep in and ease into their day. The babysitter can maybe get them to do a little cranial activity reading a book or writing a story after breakfast, before they take on whatever activity they want to participate in. And bonus it is infinitely more cost effective than 3 kids in 3 camps 5 days a week for 2.5 months. That does it. The decision is made. Enough of the analysis and procrastination. Time to execute! Anyone know any young, responsible energetic babysitters?! !